Much as it pains me to say it, Australia have to be the favourites going into the Webb Ellis Cup final on Saturday. They are 1-1 with the All Blacks for the year, but they won the Rugby Championship and scored more competition points so that has to give them the favouritism. There will obviously be a lot of talk flowing either way across the Tasman this week, and everyone is going to be asking what is the difference between the two; the answer is this is a real Test match in that two fairly evenly matched teams are going against each other for the World Cup, and I think it is going to come down to who wants it more. We know there is going to be a real battle with the Australian loose forwards, and it is probably going to determine the outcome. I'd say the teams are fairly evenly matched at scrum, lineout and breakdown - Australia might have the edge with their speed to the breakdown - but New Zealand have to nullify the "Faroocock" combination of Scott Fardy, Michael Hooper and David Pocock. The last time New Zealand played Australia, in the second Bledisloe Cup Test at Eden Park in Auckland, Michael Cheika was pretty shrewd in resting several Wallabies players and not putting Pocock out there. That has given the All Blacks something to think about ahead of the final. At the moment Australia are the complete package. If you look at all the areas in the game of rugby, they have improved in each one: look at where their scrum has been in recent times, or the lineout, the breakdown, the 9-10 combination, the midfield pairing, they've got some X-factor on the wing; there's no weakness and I think Australia have come of age. If I were to guess how the All Blacks might approach the final tactically, I would think they may target the second pass and I think they'll target the 10 channel. Bernard Foley has had a great campaign but he will have his defence tested. We know Australia are good under the high ball so it is probably going to come down to who blinks first? New Zealand need big-name players to stand up in the final, and I think the likes of Julian Savea and Ma'a Nonu are key in that they can break a line and create something for the All Blacks to play off and say, 'Show us the way'. Kieran Read needs to stand up for the All Blacks. He's been quiet. He's made more errors that we are used to seeing from him, and he needs a big game. He just hasn't shown what we all know he is capable of. 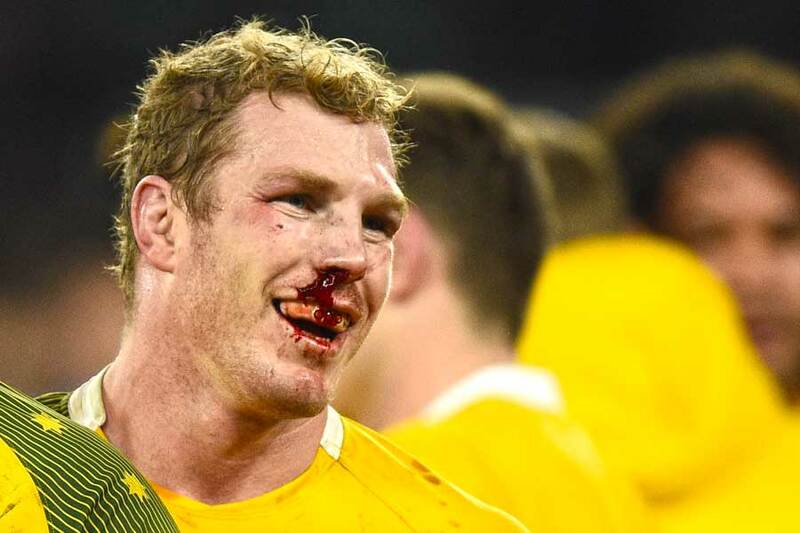 When they took Jerome Kaino off and replaced him with Sam Cane against South Africa, I thought they had taken the wrong guy off. Maybe it should have been Kaino to No8 if that was what was needed to happen. I'm sure, and I hope, Read's going to get the message this week. Territory was clearly the key component for the All Blacks, and they dominated that percentage - which became even more important when the rain arrived. South Africa had to get out of their own 22 to try to put any pressure on, but the defence the All Blacks showed demonstrated why that area has been a key part of their success. I thought Dan Carter had a great game, and the dropped goal was something pretty special. I think he's shown is enough to warrant an apology from some of the journalists who doubted he was going to front for this campaign. He's copped a lot of criticism but you know how classy he is and you know he's got the skills. 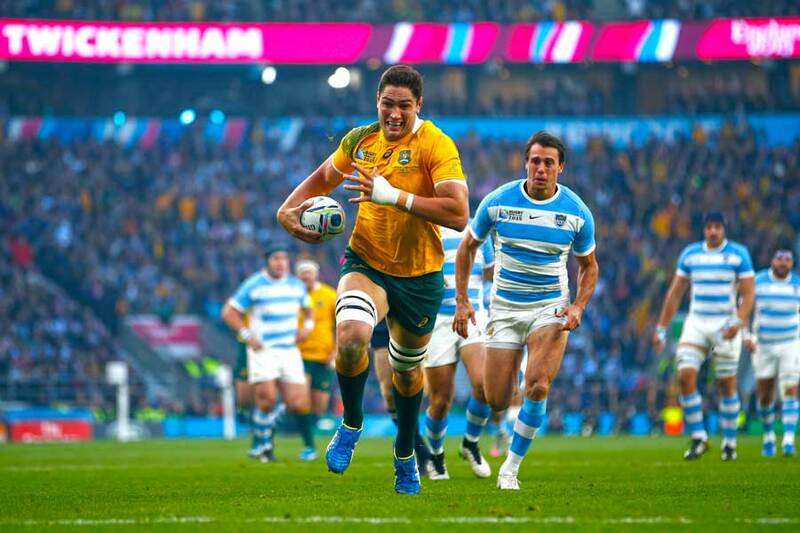 If his body is willing - which it has been - then there is no better No.10 in world rugby. He's shown that even with some of his defensive touches at which he is world-class. I thought also that Kaino was a real positive, with the only negative to his game being that kicking of the ball that put him in the sin-bin. In the first half, he really put in some big hits that showed he was up for a really physical game. That, in concert with his effort against France in the quarterfinals, has him showing his best form in an All Blacks jersey since 2011. I think he's crucial come this weekend. And how good was Sam Whitelock at the weekend? Australia have been talking up their lineout ability, but I think Whitelock's was a difference in the semifinals. The amount of lineout ball he stole off South Africa - year-in, year-out one of the best lineouts in the world - was pretty special. He was also busy around the field and had a great game. In the second semifinal, I thought Argentina tried really hard and you can't fault their effort against Australia; really what let them down was their lack of composure. Argentina have grown in this World Cup and will be a force to be reckoned with in the future. Depth running onto the ball and having the vision of when to pass rather than passing only when they got themselves in trouble are things that, if they can grow, will make them all the more dangerous in the years ahead. They've had a great campaign, and the scoreline against Australia didn't really reflect the game because they were in it right until the last of Adam Ashley-Cooper's hat-trick of tries. They were in the hunt, and being in the semifinal, and doing what they have done, is proof they made the right decision by joining the Rugby Championship and not the Six Nations.